A Wisdom teeth removal infection happens after you get a wisdom tooth taken out. Getting a wisdom tooth removed is usually painful afterward anyway, but if you get an infection in the socket, it's even worse! It can be VERY painful, and in extreme cases it can cause a swelling into your throat which may interfere with your breathing or swallowing. You might also find it difficult to open your mouth. This is very important. That degree of infection is quite rare. BUT if it DOES happen, it can be very frightening, and if you think you are having trouble with breathing or swallowing you should go to the nearest hospital Emergency Room as soon as you can. How do you get a wisdom teeth removal infection? After all, if the tooth is gone, how can you get an infection? In most cases, there will have been some infection around the wisdom tooth BEFORE it was extracted. It’s very common to have a wisdom tooth that is only partly grown through the gum, with the rest of it buried under the gum. That “little bit of tooth” that is sticking through the gum means that bacteria that live in your mouth can get into the gum around the tooth. And it’s impossible to clean under the gum, either with a toothbrush or with a mouthwash. No matter what the advertising tells us, there is no mouthwash in the world that can get under the gum far enough to have any effect on bacteria living there. SO, you have a wisdom tooth (or several wisdom teeth) that are poking through the gum a little bit, and the rest of that tooth or teeth are buried under the gum, possibly jammed up against the neighbouring teeth. This starts to get painful, as the gum swells up, and the infection gets going. So your dentist recommends removing the wisdom teeth that are causing the problems. He may even prescribe some antibiotics for a few days before scheduling the extraction, to reduce the bacteria in the area. Usually, this will work very well. 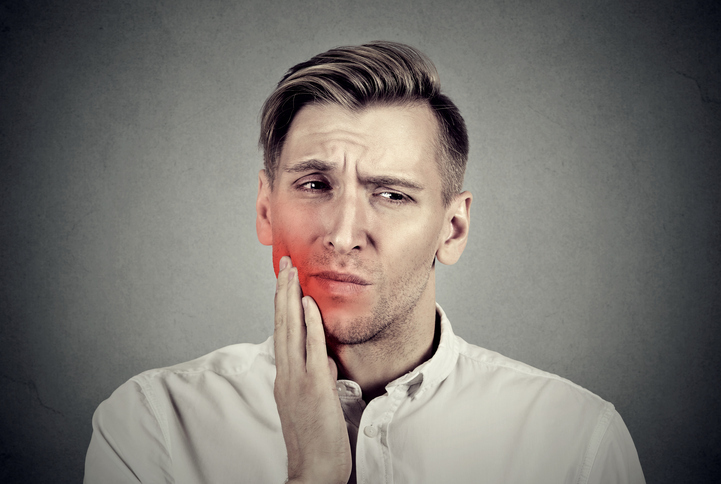 But sometimes there will be a residual infection around the wisdom tooth, and when the tooth is removed, the bacteria simply continue to breed in the gum socket left behind after the extraction. Getting an infection after a tooth extraction is also more likely to happen if you are a regular smoker, or you have diabetes, or you have taken bisphosphonate treatment for osteoporosis. WHY IS THAT? It all boils down to the blood supply to the area. Smoking, diabetes and bisphosphonate treatment ALL reduce the blood supply generally around the jaws and teeth. If the blood supply is reduced, then your immune system is ALSO reduced in that area. And so bacteria have a better chance of breeding. And it's worth noting that ALL these things depend on how long you have smoked, had diabetes or taken bisphosphonate treatment in the past. If you are a regular smoker, for example, it's no good just stopping smoking the day before you have your wisdom tooth removed. The damage is already done. a Wisdom Teeth Removal Infection? AND, what can you do about it? When you have a TRUE infection, the pain will start very soon after the extraction, probably the very next day. But it can be hard to identify at that stage, because your gum is painful where the tooth was removed anyway. How much of the pain is due to the extraction, and how much pain is due to an infection? It’s very hard to tell. And so a day or 3 will go by, with the pain gradually getting worse, before you realise that things should be improving by now, and that the pain you are having is NOT normal. At that stage you will most likely have a diffuse, puffy swelling in your cheek or jaw. First, try doing some gentle rinsing around the extraction area with HOT salt water. You don’t need much salt in the water at all, BUT IT MUST BE HOT! The heat will open up the blood capillaries in the area and improve the blood supply, which gives your own immune system a better shot at combatting the infection. Also, the act of swishing the hot water around the socket will help to wash out any food debris in there. Second, if you have a swollen cheek, you can put a COLD pack on there, on the outside of your cheek. 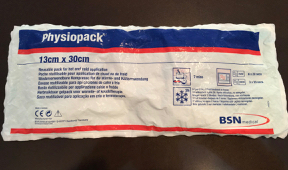 Below is a photo of a “Physiopack” which you cool down in your freezer. Otherwise, the simplest thing to use is a bag of frozen vegetables from your home freezer. Wrap it in a cotton cloth, so the bag doesn’t stick to the skin of your face, and leave it over the swelling for 8 to 10 minutes. You can repeat this every 4 hours. It will help to take down the inflammation. Third, you can take some “over the counter” painkillers, such as Ibuprofen or Tylenol. Take a look at my Antibiotics for tooth infection page. You’ll need to take the steps above one at a time, and see if the infection responds, before moving on to the next step. It’s possible that you DO NOT have a true wisdom teeth removal infection, but instead you have a Wisdom Teeth Dry Socket. This is VERY different! Have a look at that page by clicking on the link, and you’ll be able to read the differences between the two conditions.